I hope you had wonderful time seeing the New Year in! I posted this picture on my Instagram page last week, and thought I’d share it here too. 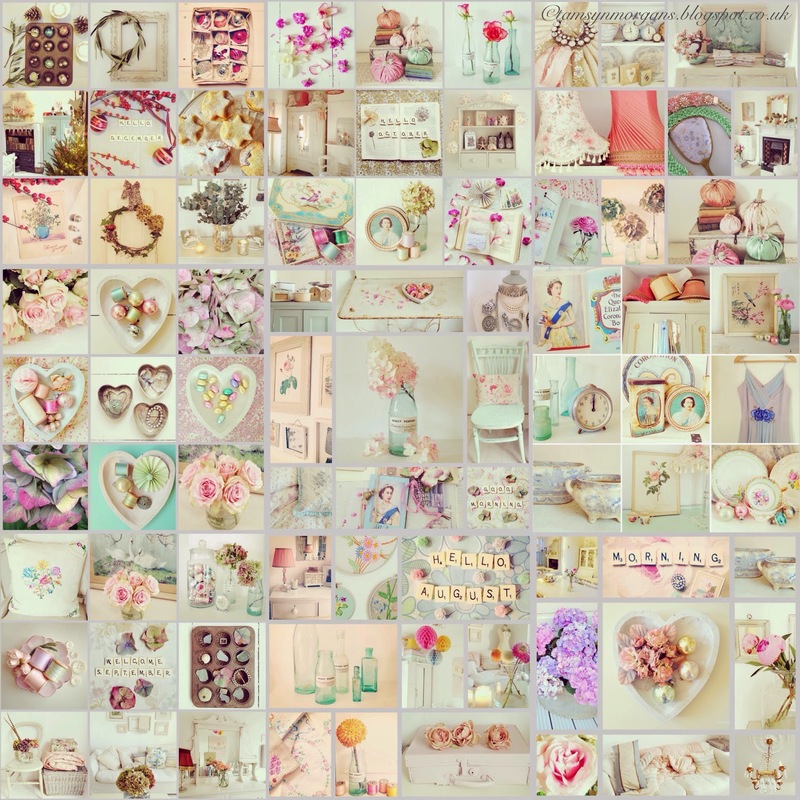 It’s a collage of some of my favourite phone snaps from 2014, and they look so pretty all together. Today I am de cluttering and taking down the last of the Christmas decorations, ready for a new start. I think January is a month of hibernation, warm jumpers, tea and crafting. I am already working on my first project of the year, I shall take some pictures today to show you my progress! Aww its looks so nice with all the pictures in one collage 🙂 I love that they are all the same pretty pastel colours! How do you put one of these collages together? Is there an app for that? Hello Jeanne, I use Moldiv app to make my collages of 9 pictures, and for this one, I simply used each 9 picture collage to make another 9 picture collage – hope that makes sense? So many lovely images! I'm sure there will be as many in 2015! Lovely collection! Happy New Year!